In the modern world of online gambling, having a competitive or better mobile experience should be a priority for developers and casinos. One of the hardest parts of this, is the live dealer casino. More specifically, live dealer blackjack. In blackjack players must make quick decisions. 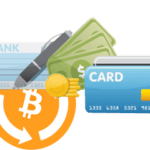 Therefore, the betting interface must be adapted for smaller-screen mobile play, minimising the possibility of fiddly interactions and missed bets. Options such as side bets, traditionally relegated to the side of the main bet, must be easily accessible on touch screen devices as well. This is on top of the HD streaming that also may put a strain on some mobile devices, as well as the need to offer options for horizontal and vertical screen play. Some of the developers to provide live blackjack for mobile players are Evolution Gaming, Ezugi, BetConstruct, Playtech, NetEnt, Lucky Streak and Visionary iGaming for players in the USA. Some of these are brilliant. Perfectly adapted for mobile play, with minimal lag or frustration at their interface – you’ll find your mobile 21 game play here a breeze. Others, not so much. But which casinos and developers then, do live blackjack on mobile justice? 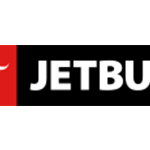 Read on to find out the best casinos for a top-tier on-the-go blackjack experience. Because You Should Never Wait for Your Winnings! Grosvenor is an established land-based casino in the UK, and they translate their consistent aesthetic well onto their mobile platform. Their blackjack tables are provided by Evolution Gaming and NetEnt. Evolution in particular, has excellent presentation for mobile blackjack fans. Playable in both vertical and landscape mode, the betting interface adjusts nicely to fill the different spaces offered by each configuration. With a fan-out display for the chip selection and a pop-up overlay for your bet selection there’s no chance of missing out on your side bets because of the mechanics here. The usual Evolution 21+3 and Perfect Pairs, as well as a bet-behind option, are available. Grosvenor also provides six private blackjack tables, produced in collaboration with Evolution. These look great, with the sophisticated Grosvenor branding. They play almost identically on mobile too, which is to say they play very smoothly. NetEnt blackjack does not play quite as well as Evolution, but it is certainly close. For example, they don’t offer their own custom live casino lobby. Instead you access a ribbon menu, which pops up above the gameplay on the table you are at. This can cause slowdown on slower mobile devices or those with smaller screens, as well as being a little fiddly to access. What NetEnt does however offer at Grosvenor, Common Draw Blackjack. This neat game variation allows unlimited players to play on a single hand, and any decisions you make will affect your hand only. The only drawback is you can’t split when you want and will in fact be auto split on certain hand combinations – unless you choose to fold. Thus, Common Draw Blackjack means you’ll never need to wait for a live blackjack seat at Grosvenor! Unibet loves private blackjack tables. They have over 25 Evolution developed custom blackjack tables, most of which have a very similar Unibet sci-fi style colour scheme. Expect lots of black and green neon, which actually goes well with a mobile experience, as well as the usual smooth Evolution mobile gameplay. The NetEnt mobile blackjack tables were slower to load and weren’t quite as smooth as Evolution’s offering. Especially when accessed via the mobile site and not the app. In a mobile browser we noticed significant framing problems and slowdown that just was not present at Evolution’s tables. NetEnt’s tables also force to play in landscape mode, which we don’t personally mind but might have been a hindrance to some. Other than presentation issues though, the NetEnt streams were good quality and the betting interface was intuitive. What they do feature as well, is two tables of Virtual Studio Blackjack. This multi-table lobby is quite similar to Mr Green’s Beyond Live Experience, except without the visual panache that option offers. 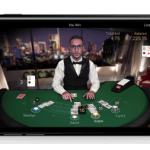 Players can move around a virtual casino floor with a few simple taps and you can hear and see the other tables as you play, for an immersive experience. When it comes to native blackjack tables in different languages, Unibet’s main doesn’t actually offer any. They do offer multiple languages at their roulette wheels. They do however have Swedish tables for players located there as well as Flemish for players in Belgium and Danish for players from there. 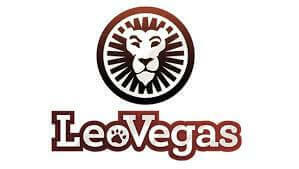 Leo Vegas has more live blackjack developers on their books than you’ll find at just about any other online casino. This gives them a lot of variety, if nothing else. The list is dominated by Evolution titles, then NetEnt, and the other three developers have two or three games each. The standard of stream quality and gameplay for mobile users, does vary between the developers. Lucky Streak for example, have not translated their game to mobile particularly well. In fact, side bets have been totally removed from their games on mobile, as it is too fiddly to access using their interface. Pragmatic Play have better interfaces for their blackjack tables but come with their own problems, such as rather short betting times and lower stream quality. 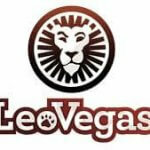 In general, the highest quality tables on mobile at Leo Vegas are from Evolution and NetEnt. None of the other providers are available for UK customers, as they do not have United Kingdom Gambling Commission licences. When it comes to private tables, Evolution have provided a large selection for LeoVegas. This includes Celebrity Party Blackjack with Danish speaking dealers and a dedicated Italian blackjack table. All the tables come with Leo’s kitsch cream, pink and gold stylings and have Evolution’s usual high standard of mobile gameplay. Blackjack limits here range from £0.50 to £5000 per hand. Genting is another established land-based casino brand in the UK, and this quality is reflected by their mobile operation. The mobile site works extremely well, as do both apps that are available. Everything is smooth and easy to access with quick transitions and intuitive menu design. 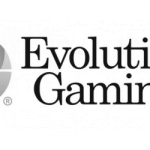 All Genting’s live blackjack tables are provided by Evolution and thus come with their own custom lobby system as well as the typical top-tier mobile gameplay you would expect from them. Genting provides two private tables, one with the classy Genting black-and-red theme. The other is themed around the prestigious Crockford’s Gaming Room in Mayfair, London, which opened in 1823. Both tables are great examples of Evolution’s custom tables and also look different enough from each other to make trying them both out worth your time. Genting does not offer any live blackjack tables with non-English speaking dealers. What they do have though is Evolution’s Blackjack Party and Grand Royale VIP tables, to give their collection a little more variety. That second example comes with a truly huge £500,000 bet limit, which is higher than you’ll find at almost any other online casino. Minimum bets start at £0.50 on Blackjack Party. Casumo has a decent selection of Evolution blackjack tables available on mobile. This includes two private tables that make good use of the clean and funky casino branding. These come with a commendable level of detail, that brands everything from the dealer’s attire to the cards themselves. As usual with Evolution, the gameplay and stream quality for mobile players is top-tier. However, Casumo could do with one more developer at least, to offer a little more variety for players. What Casumo does do though, is use private table technology to its best effect. 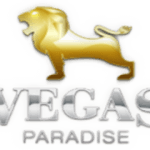 When we visited for our review, they were running two gold-card style blackjack promotions that added an extra layer of tension and fun to proceedings. When it comes to native tables, Casumo does not offer live blackjack in any language other than English. This is a little disappointing and hopefully they will add some to their collection in the near future. Limits here range from £5 to just £1000 at the VIP tables, which isn’t overly high for some high-rolling players. The Casumo app looked great when we tried it out on Android. It was simple and fast to navigate around, making live blackjack tables a cinch to find and start playing. Mr Green provides live casino tables from two of the top developers, so you’re guaranteed a quality live blackjack experience in most areas here. They also have a lot of private blackjack tables from Evolution – just over 20 by our count. 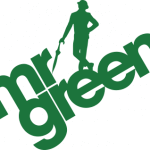 These all have custom Mr Green branding, with a look that translates well to mobile. Also, on their mobile platform are Evolution’s Party Blackjack and high-rolling one-to-one Salon Prive tables. The biggest attraction for mobile blackjack players here however, is the Mr Green Beyond Live Experience by NetEnt. This virtual casino penthouse suite features two exclusive blackjack tables as well as two roulette wheels. Players can see and hear the other tables operating as you play and can switch between them with one tap. The (sadly virtual) Mr Green himself wanders around the tables checking everything is running to plan, and helicopters speed past the Vegas-style skyline outside the window. This feature actually debuted for mobile platforms only – so you can be certain it was designed from the ground up for smaller screen play. We’ve tried it on a tonne of different devices since it was released, and it worked extremely smoothly on nearly all of them. Well worth checking out for a different kind of live blackjack experience! When it comes to native live dealer blackjack tables, Mr Green features a solitary exclusive Deutsche Live Blackjack with German speaking live dealers. 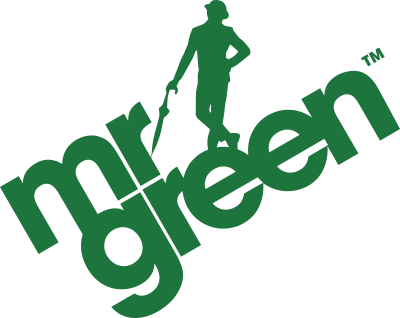 The Mr Green Android app was simple to use and presented efficiently and clearly. We had no complaints while using it during this review. MYB Casino trades mostly on its main selling point, which is that their games are available to US players. Which is a good thing for them as, other than that, their live blackjack selection for mobile players is below average. ViG games leave quite a bit to be desired on mobile, especially without a dedicated app for the casino either. The tables do not automatically full screen in browser, which can make choosing your play quite fiddly – especially on a smaller screen device. There is also no dedicated ViG blackjack lobby. This means you have to return to the MYB live casino home screen in order to change tables, which can be quite time consuming. Apart from that, the gameplay at ViG tables is solid. They were quite innovative with some of their features, including early surrender blackjack. The four live blackjack tables at MYB Casino are bronze, silver, gold and platinum. Each one has higher bet limits than the last, starting at $500 per hand and going up to $2000 at the platinum table. Unique Casino’s live blackjack selection is hardly the best around, but not the worst either. The live casino does not come with its own dedicated section and instead the live blackjack lobby sits among the table games section of the site. Exclusively provided by Lucky Streak, their tables work fairly well on mobile. 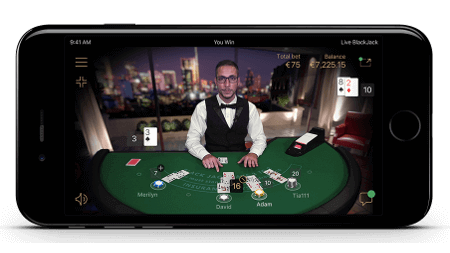 However, they lack some features that you would expect from live blackjack – such as side bets and the ability to play in portrait mode. The stream quality, however, was on par with Evolution and Playtech at the top of the live casino game. There was little or no lag, the lobby worked smoothly, and the game information was displayed on an innovative pop-up semi-circular menu, which looked stylish. There are no private live blackjack tables, or tables in any language other than English, at Unique Casino. Their Android app was very new, but quite basic. No ‘unique’ or interesting design choices to be found here, but at least it was perfectly functional. Bet limits at Unique Casino are a fairly low £10 – £250 per hand at all six tables. William Hill provides a lot of private blackjack tables with a variety of themes. These include Soho, Mayfair, Downtown, Genie Jackpots and Pig Wizard. As far as we could see, these didn’t change much about the standard Evolution or Playtech offerings except for the décor. Playtech live blackjack works just as well as Evolution, which fits with their position as the second-best provider of live blackjack games in our opinion. The lobby was clearly designed with mobile play in mind, as was the betting interface with its pop-up controls. Everything was optimised for smaller touch-screen play and worked like a charm. Genie Jackpots and Pig Wizard blackjack are nominally based upon the slot games of the same name, but apart from the colour scheme and the video playing behind the dealers – not much is changed from a standard blackjack table from Evolution. Also, on offer here is Evolution’s party blackjack and Salon Prive tables. Speaking of which, William Hill also hosts Playtech’s answer to Salon Prive tables – called soiree blackjack. These aren’t quite as exclusive as Evolution’s offering but do have the advantage of a minimal black colour scheme. Obviously this depends on your personal taste, but we much preferred this to the gauche gold shininess of Evolution’s tables. The other unique feature here is the ability to request a new live dealer or extend the shift of the current one (within limits). This adds a new layer of interactivity to the table, which you won’t get anywhere else. Betting limits for live blackjack at William Hill start at £1 and go up to £10,000 a hand on the Soiree tables. 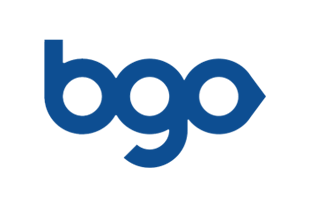 BGO exclusively uses Playtech as their live casino provider on both mobile and desktop. We actually found BGO’s mobile site to be on the slower end of sites that we have looked at. There was frequently some slowdown when scrolling through the blackjack lobby, even on a high-end mobile device. Their Android app also froze on start-up twice for us, although we eventually managed to get it to work. BGO offers two private blackjack tables, as well as Playtech’s aforementioned Soiree and Unlimited varieties. 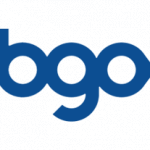 The BGO private branding looks good but is fairly simple and doesn’t break any new ground design or gameplay wise. Playtech tables were, as usual, intuitive and easy to play on mobile. They were playable in both landscape and portrait mode, although there is a lot of wasted screen space in the portrait configuration at BGO. High-rolling players might be disappointed here, as bet limits only go as high as £1000 – even on the VIP and Soiree tables.